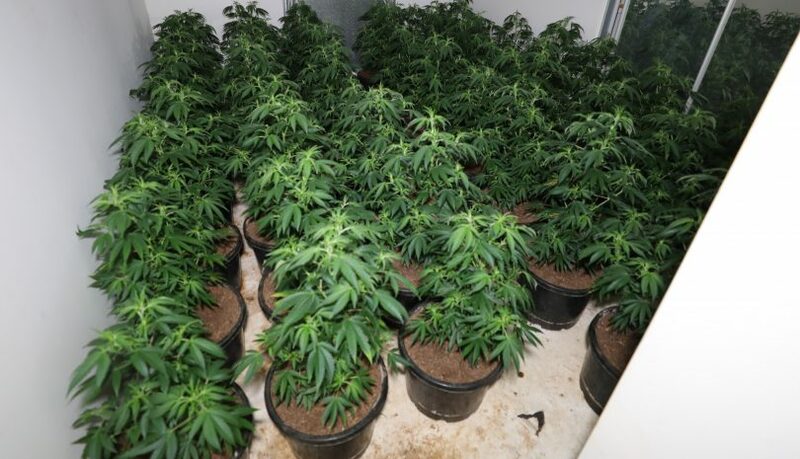 Police seized over 300 cannabis plants from a Spence home last June. Photo: Supplied by ACT Policing. ACT Policing believe more organised crime will be attracted to the nation’s capital if the ACT’s bill to legalise cannabis passes. 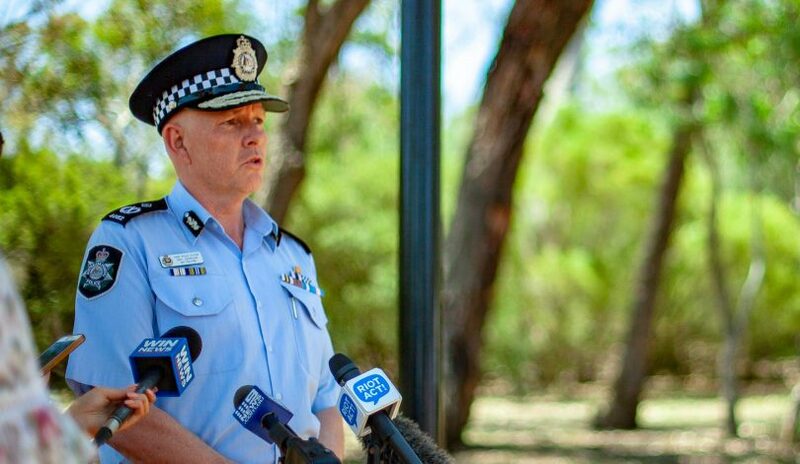 In a written submission to the inquiry into the Drugs of Dependence (Personal Cannabis Use) Amendment Bill 2018, ACT Policing’s Chief Police Officer Ray Johnson warned legalising the drug would have serious consequences for the nation’s capital. If Labor MLA Michael Pettersson’s bill passes, it will legalise an adult’s possession of under 50g of cannabis in the ACT’s criminal code and will allow people to naturally cultivate up to four cannabis plants at one time. CPO Johnson warns that it will still remain a criminal offence to cultivate or possess cannabis under Commonwealth legislation, regardless if the bill to legalise the drug in the ACT passes parliament. Under the Commonwealth criminal code, people caught with small amounts of cannabis could face a maximum $8000 fine or up to two years in jail. ACT Policing said removing provisions in ACT law to deal with “simple cannabis offences” will cause conflict with Commonwealth legislation. “This will create ambiguity for police dealing with cannabis possession and cultivation,” the submission reads. CPO Johnson said the bill passing could also result in allegations of a breach of the AFP Code of Conduct and expressed concerns that allowing cannabis to be legally grown in the ACT would attract more organised crime to the region. CPO Ray Johnson. Photo: George Tsotsos. “Other impacts of the proposed legislation will likely provide a greater incentive for serious and organised crime involvement in the cultivation of cannabis in the ACT,” he said. CPO Johnson said organised crime would take advantage of the legislation through the exploitation of “crop sitters” to remove the growing cycle of risk from illegal commercial cannabis production existing in other jurisdictions. “The bill may increase public interaction with organised crime should offenders from other jurisdictions move to capitalise on opportunities to cultivate in the ACT due to lower risk of detection and potential profitability,” he said. For christs sake, legalise it outright already. Law enforcement guys’ logic – we will criminalise a plant and enable a black market, and encourage organised crime to profit off a socially accepted recreation. So we shouldn’t legalise it … because … the criminals will … will be encouraged. Alcohol creates violence, family issues, public nuisance and embarrassing behaviour. Weed causes the eating of too much leftover pizza at 3am. Which one is legal???? Michael Blythe it's a crazy world. I gave up trying to follow it 2 years ago. Hahaha the gangs are going to have to do something funky with their business model if they plan on using 1 person to sit on 4 plants. Do the math, consider the supply chain and you can quickly understand why 4 plants has not been consider to be of criminal intention (in the ACT) for some time. Canberra is the seat of organized crime. The government sector that is not private. And it really isn't that organized. Just make it legal in all states. Problem fixed. Afterall, it's just a plant. It's not manufactured by big pharma to rip you off while getting you addicted to drugs that poison your body & make you sicker. Sure they are already here. You mean more than the bikies bring ??? Or just more in general ?? "Naturally cultivate".... Doesn't not mean hydroponic set ups. If the bill passes, more people will bet busted because they will go with hydroponic set ups through stupidity! Nick Stone unfortunately there is a whole lot of stupid everywhere in Canberra. Fortunately, there is also some very smart people too. It will catch the stupid ones and very easily. Nick Stone does that discriminate against people in apartments? Not at all. Bunnings have pots to cater for them! Common sense. We don’t need more drugs , we need less. Annie Rietdyk yes prohibition has been widely successful for centuries.